Easy access to valuable, complete and reliable data is essential for good business. When key information is stored across multiple systems or spreadsheets it can become fragmented, out-of-date and untrusted – limiting its use and destroying its quality and value in helping to effectively manage your business. 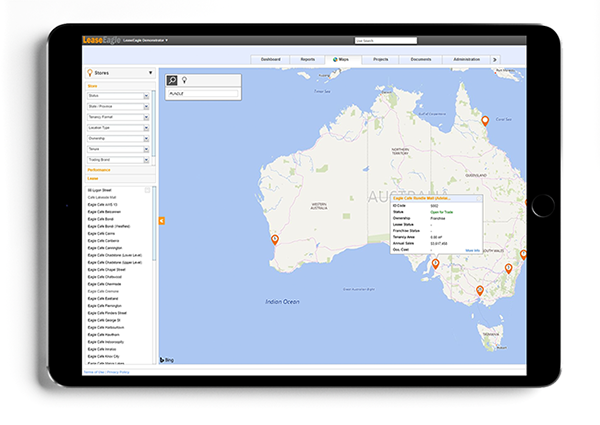 LeaseEagle delivers a “single source of truth” for your business, ensuring fast and reliable access to your business information via the Cloud and on any device – so, whether you have 50 locations or 5000, you can easily access the data you need. 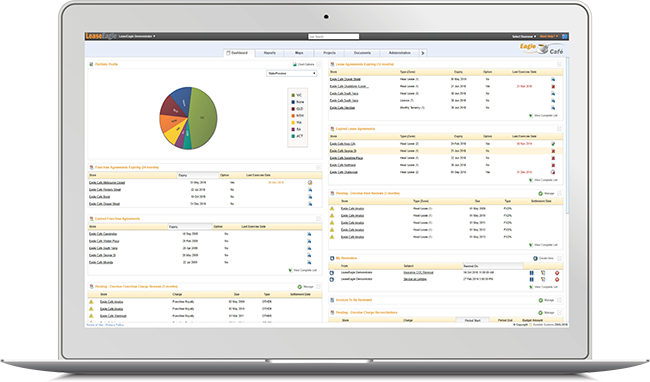 Lease Management software as unique as your business. Make managing your retail lease portfolio simple, by giving your team the visibility, control and intelligence needed to maximize performance. Ensure your business’ operating locations and lease commitments are managed accurately, professionally and without risk. Maintain the legal and financial oversight your clinics and health facilities require for optimal operation. With superior data visibility, enhanced automations and systems integrations, LeaseEagle lease management software can significantly improve accuracy, efficiency and control across your real estate portfolio. 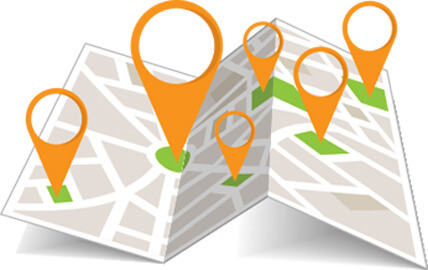 The core LeaseEagle system is specifically designed for you to better manage your business locations by creating a single-source of information for your property portfolio. In addition to providing all of the functionality you’d expect to have in a tenant’s lease management system, LeaseEagle is also highly configurable, ensuring the solution can be tailored to meet your individual business needs, as well as integrated with existing information systems. Comprehensive management of location information – inc. property details, lease commitments, occupancy costs – in a single, centralised system. Streamlined invoice processing with automated contract-matching, ERP system integrations, enhanced payment controls and productivity gains of as much as 90%. Integrated management of lease data, key business assumptions and detailed reporting required under the IFRS16 lease accounting standards. Centralised management of franchise agreements, franchisees, billings and documentation to enhance systems’ operations and simplify code compliance. Customisable project templates with integrated task management, progress tracking and automated user alerts. Advanced analysis tools for customisable property, financial and business intelligence reporting in real time. Need a customised solution that goes to work straightaway? We’ve worked with some of the biggest names in Australia managing a high volume of leases. These companies are managing hundreds of stores — with just a few clicks!